Planning a wedding? Consider Rolling Hills Country Club for a stress free experience. 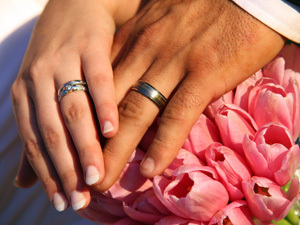 Our staff is ready to help you with all the details to make your special day relaxing and enjoyable. Our services range from renting our main room and doing your own thing to RHCC providing full-service food and beverage. Contact us and let us help you get the planning underway! And, remember, the key in doing business with Rolling Hills is Value. You will get the most for your $$$ at RHCC. The Rolling Hills Country Club boasts a wonderful banquet facility with capacity for up to 150 people and beautiful scenery. 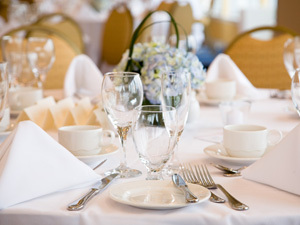 Dining and meeting packages can be created to each unique group. Have a special occassion, corporate meeting, club gathering, re-union? We can help with any banquet or special meeting needs you may have. We have a complete set of services to make you meeting a success and have planners to assist you to ensure everything goes smoothly and at a price that will allow you to enjoy the day.